CollegeTracks' 2019 Annual Graduation Celebration! 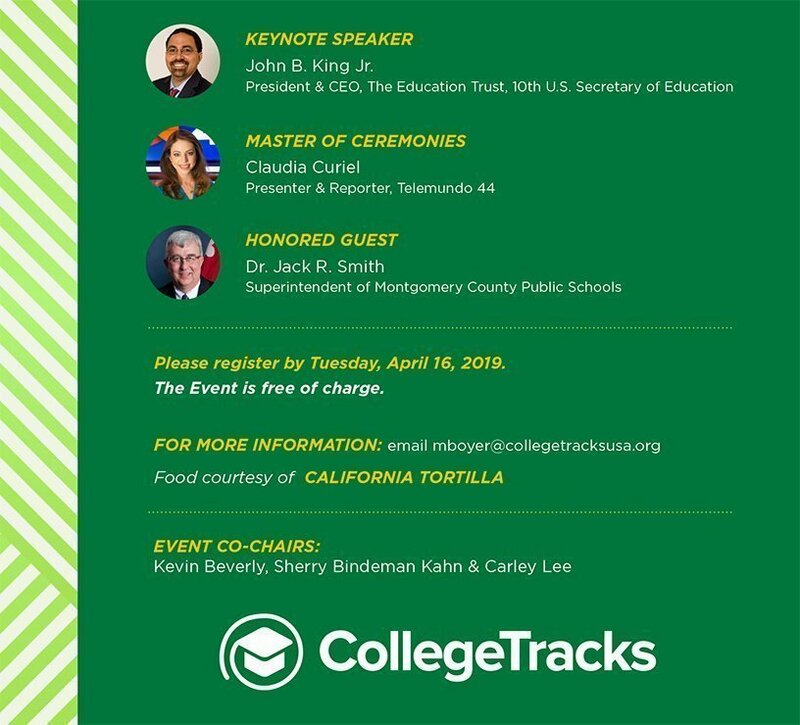 Can’t Attend the Celebration, but still want to support CollegeTracks? Make a Gift or Sponsorship Today! 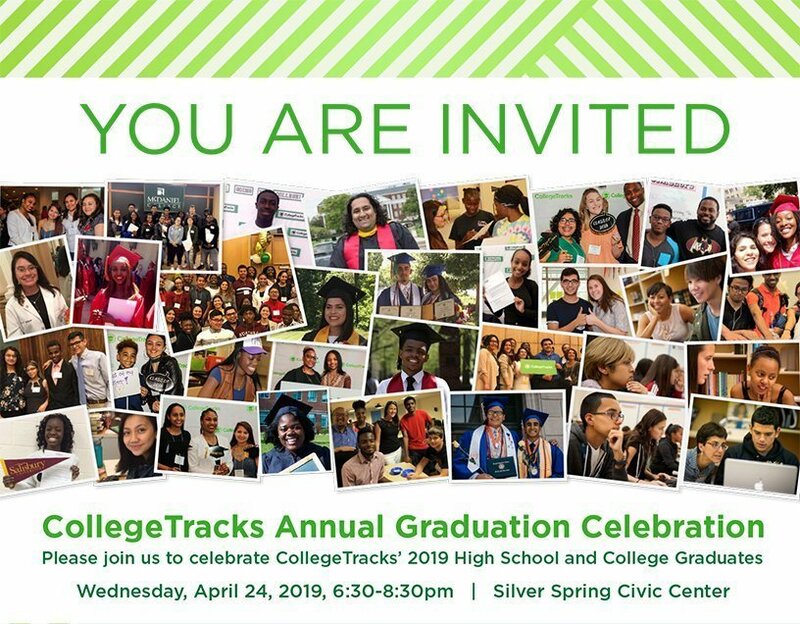 CollegeTracks’ Annual Graduation Celebration brings together our students, their families, community leaders, officials, and supporters to celebrate our incredible students as they graduate high school and college, and move towards the bright futures they deserve. We are thrilled to welcome our 2019 Keynote Speaker: John B. King Jr., President & CEO of The Education Trust and former US Secretary of Education. For more information and to learn about sponsorship opportunities, you can find our sponsorship materials here, or email our Director of Development, Mattison Boyer, at [email protected].